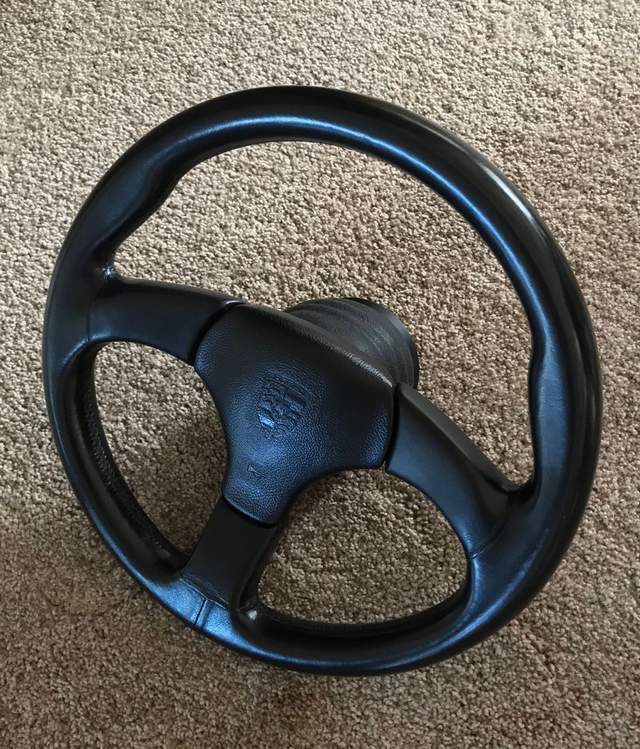 Very nice quality 930S style steering wheel and brand new hub that have been in storage for a few years. Hub has never been installed and is brand new. 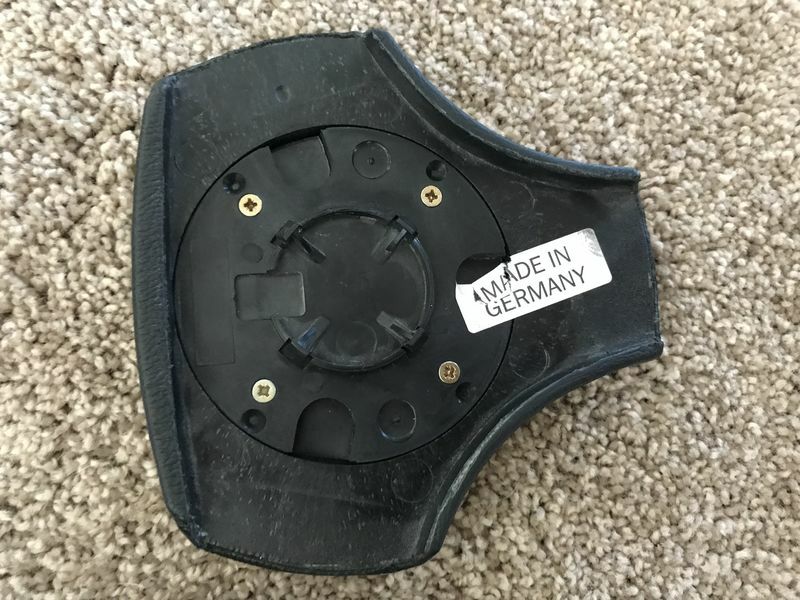 Embossed Porsche Crest horn pad. Nice stitching and split leather bottom spoke wheel. I planned on installing in my 1986 911 but never got around to it. 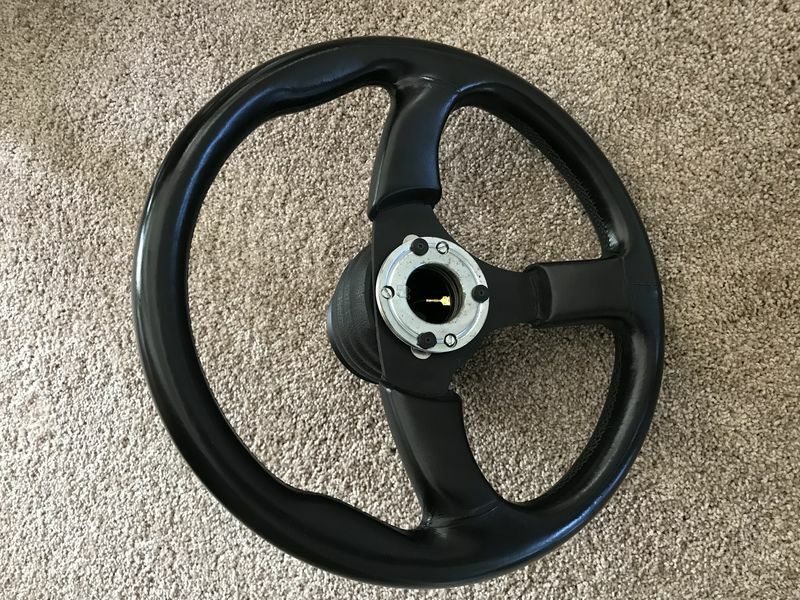 Believe this to be an 80s vintage wheel. 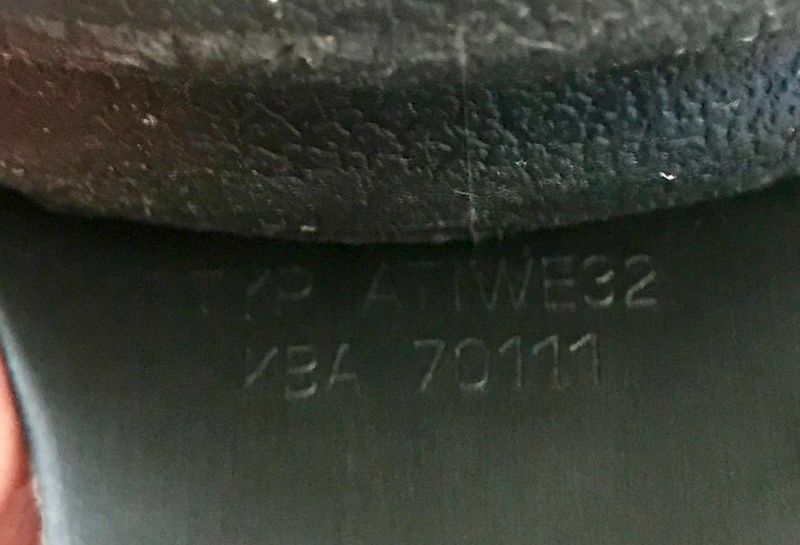 Stamped Atiwe32 KBA 70111. 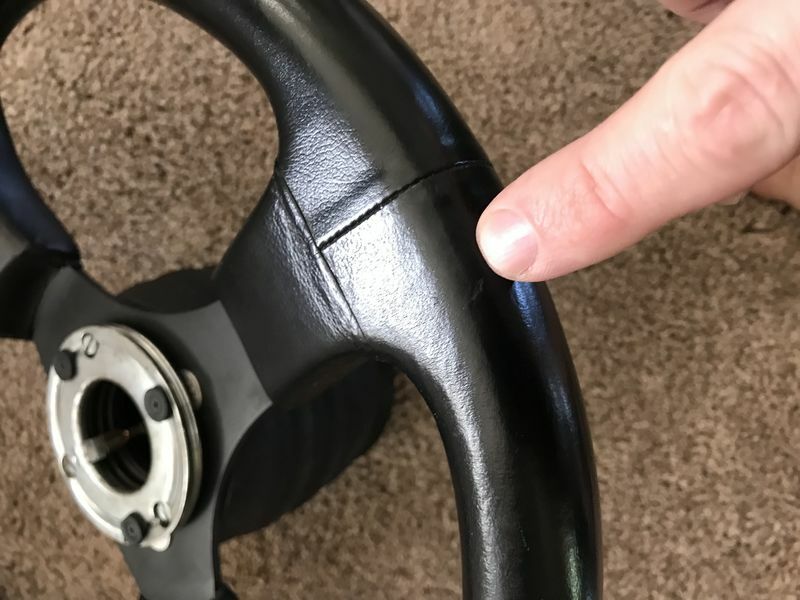 One tiny blemish (see photo) on the bottom of steering wheel that will not be seen. 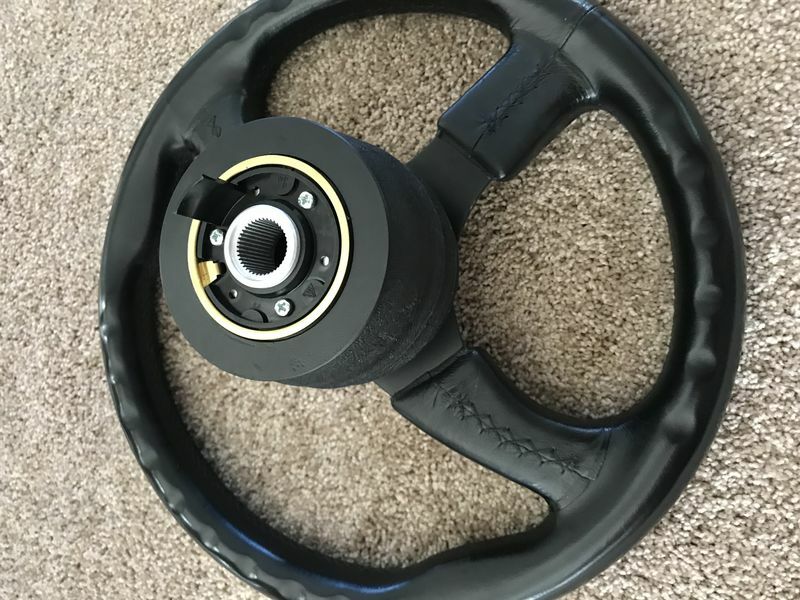 Wheel is a 9/10. $600 or reasonable offer plus shipping. Located in Seattle if you want to pick up locally. Last edited by cougarav8r; 10-01-2018 at 07:07 AM.. Reason: Price adjustment. Last edited by cougarav8r; 10-01-2018 at 07:08 AM..